Fifty years ago, in June of 1964, three young and idealistic civil rights workers were murdered by the KKK. The three young men were in Mississippi to register African Americans to vote as part of a statewide campaign. 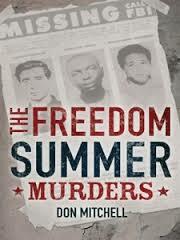 The Freedom Summer Murders by Don Mitchell is a riveting and essential account of the events leading to the murders of James Chaney, Andrew Goodman and Michael Schwerner – and should be in the collection of every middle and high school. SS: What drew you to this particular set of events? DM: I have been aware of the Chaney, Goodman, Schwerner murders from an early age. At my high school in Kettering, I took a course in black history and learned about this case in more depth. When I went on to attend Miami University in Oxford, Ohio, I frequently studied at the university’s Western Campus, which used to be the Western College for Women. It’s a beautiful, tranquil place. I often thought of the Freedom Summer volunteers who trained there in 1964. I was drawn to this story of young people taking such a huge risk to help others and fight for social justice. When I was casting about for a new book idea several years ago, I realized the fiftieth anniversary of Freedom Summer was approaching and I decided it would be a good time to explore this important story. SS: You clearly spent a lot of time talking with people and reading firsthand accounts of the events of June 1964. Did anything you learn surprise you? Any challenges or “roads” you didn’t expect to travel? DM: One of my primary objectives was to interview people who knew James Chaney, Andrew Goodman, and Michael Schwerner. In most published accounts of this story, there is very little about their lives and backgrounds. I wanted to tell their individual stories more fully, and explore what made these three young men such caring individuals, and how they became involved in civil rights. These interviews were the most interesting part of my research. I was struck, but not surprised, by how deeply they felt the loss of their loved ones, and how vivid that sense of loss was almost 50 years after their murders. SS: What books do you admire? DM: I’ve always been interested in biographies. It’s a great way to learn about the lives of interesting people, as well as understand the times in which they lived. I also love anything written by E.B. 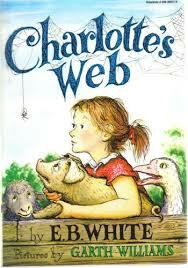 White; not just his books for young people (e.g., Charlotte’s Web and Stuart Little), but his letters and essays. In addition to being a great literary stylist, his writing is witty and insightful. SS: Is there a next book being planned? 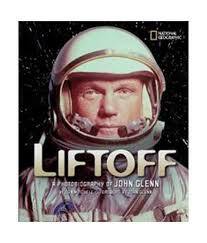 DM: I have a young adult nonfiction book proposal that is currently under consideration at several publishing houses. Hopefully, there will be interest before long — I’m anxious to begin a new project. As regular readers know, I consider Charlotte’s Web to be one of the greatest novels ever written – so it was a thrill to read about Don’s admiration for E.B. White. ← Bookstore Hopping Through Midcoast Maine….